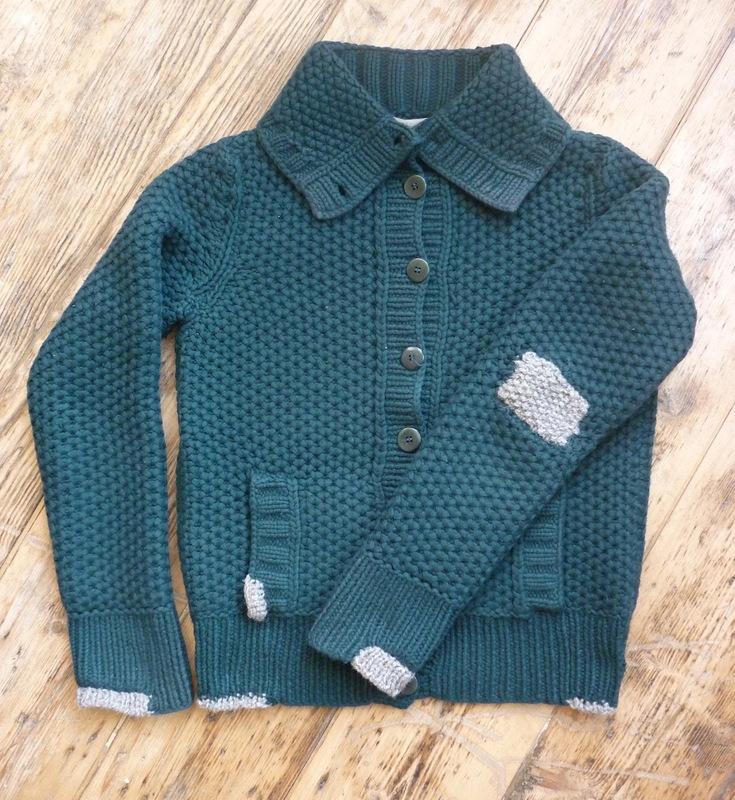 THAT Green Cardigan, was a commission that I really enjoyed doing, contrasting luxurious soft dyed cashmere with sturdy, natural Jacob wool. 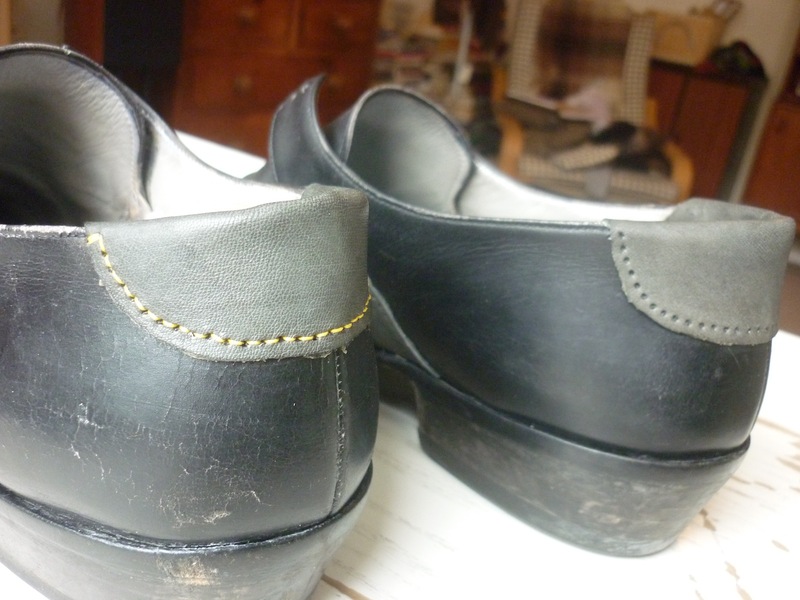 I started teaching regular Darning Workshops in Brighton at Super+Super HQ (incidentally, the next one is on Friday, 1 February 2013). I have also been roaming the country for one-off workshops. One that I particularly enjoyed took place at the Shipley Art Gallery in Gateshead. 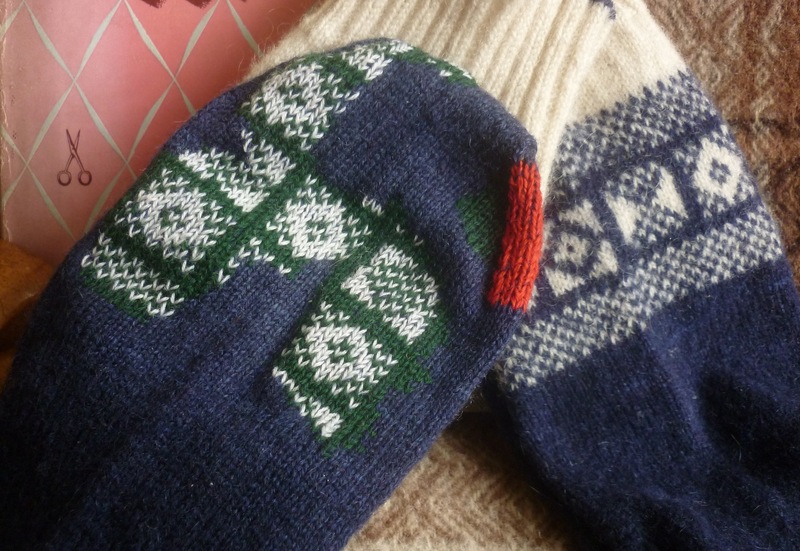 I also started taking my darning to a whole new level: meta-darning Sanquhar Socks. 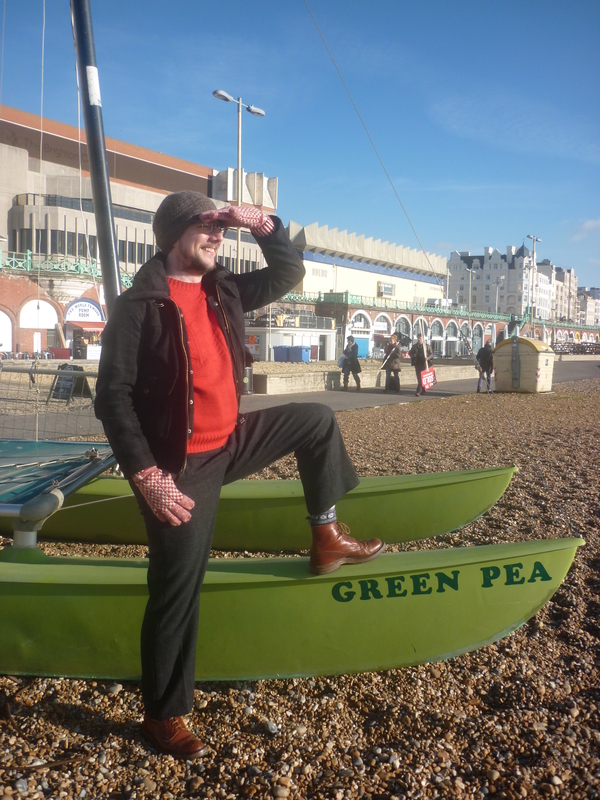 My favourite Visible Mend of 2012, however, must be my shoes! I felt honoured when I was asked to be Mender in Residence at the MendRS Symposium. 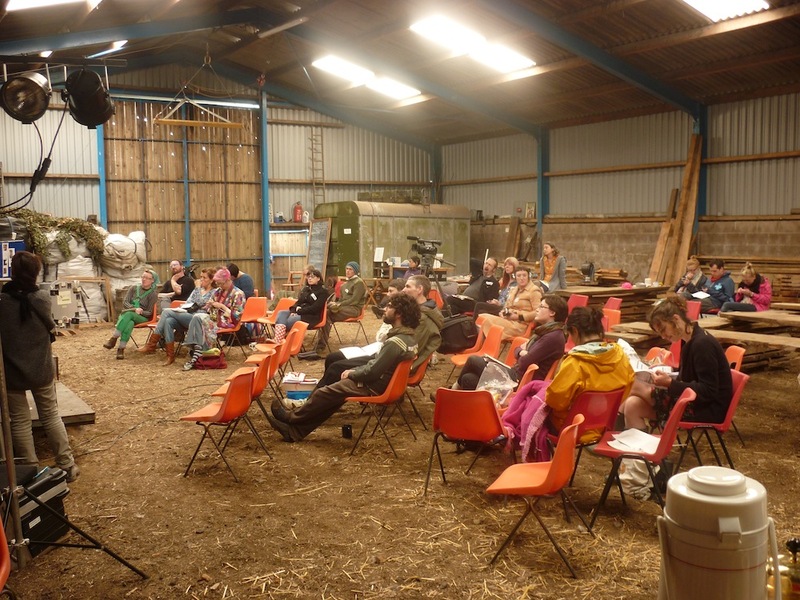 I met so many amazing people and I got to talk about mending in a barn, what’s not to like? 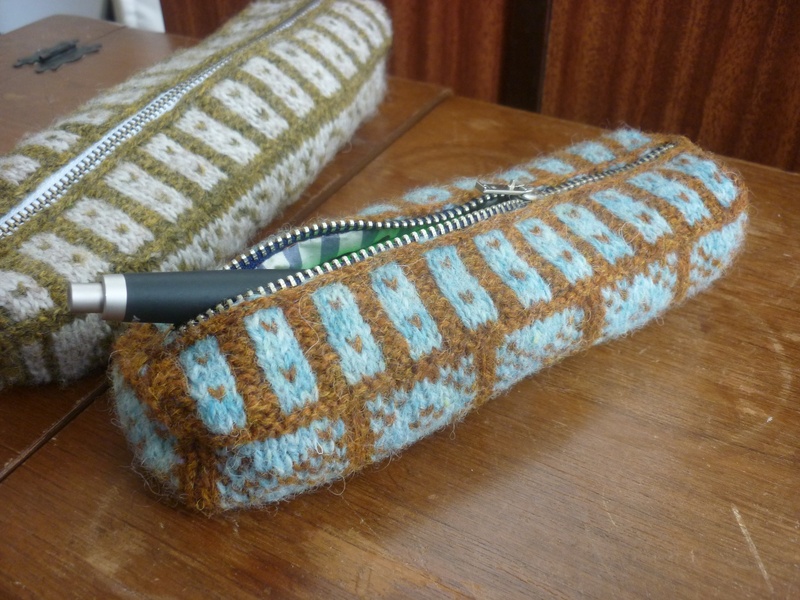 In 2012 I also released my very first knitting pattern: A Sanquhar-inspired Pencil Case. I presented at In the Loop 3. 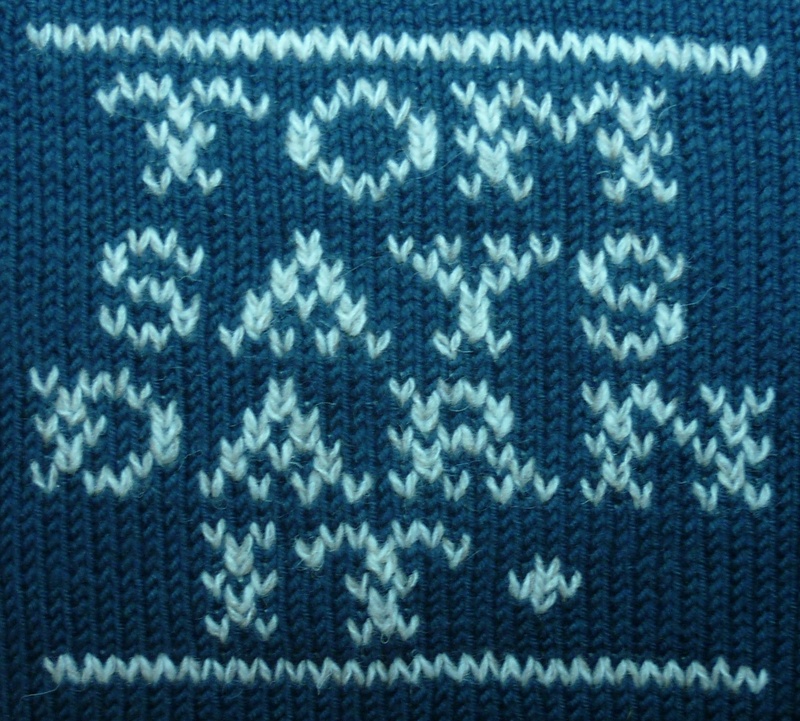 Incredible that it is possible to talk about knitting for three days, my head was spinning for days afterwards. Alas, I didn’t take any pictures, as I was completely immersed in a different world. 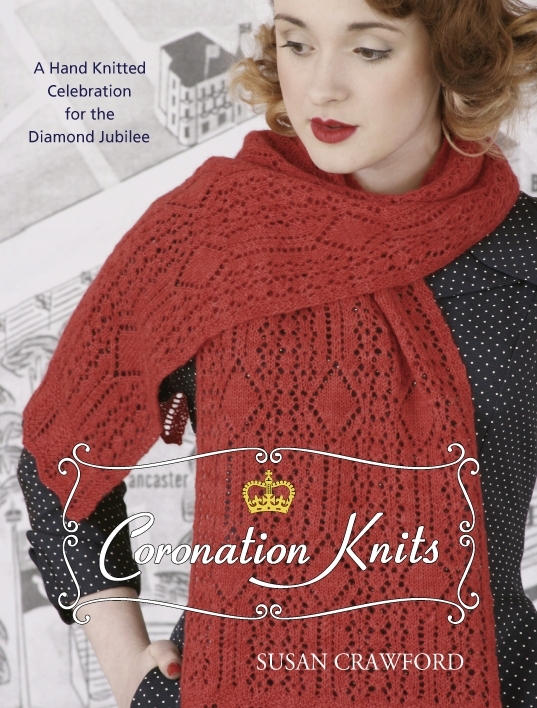 Although I’m no speed knitter, I did manage to churn out a lace stole sample knit for the cover of Susan Crawford’s Coronation Knits in 3.5 days. For the woolheads amongst us, November was transformed into Wovember. A month-long turbo-celebration of all things wool. This was the first year I helped out, and I curated a series of posts called Wovember Words. It also spurred me on to start sewing and I made myself a pair of Woollen Trousers. 2012 was a great year, and I hope to continue this in 2013. One of the things I really enjoy doing, is running my darning workshops. So I will continue my regular workshops at Super+SuperHQ, although somewhat less frequently. Also, I will be doing more one-off workshops. You can stay up-to-date by following me on facebook and, of course, my blog. As I learn more about darning, I realise there are more darning techniques to be explored then just the regular Swiss darn and stocking darn; a new world is waiting for me. One reason for doing less darning workshops, is because I want to start offering knitting classes at Super+Super HQ. 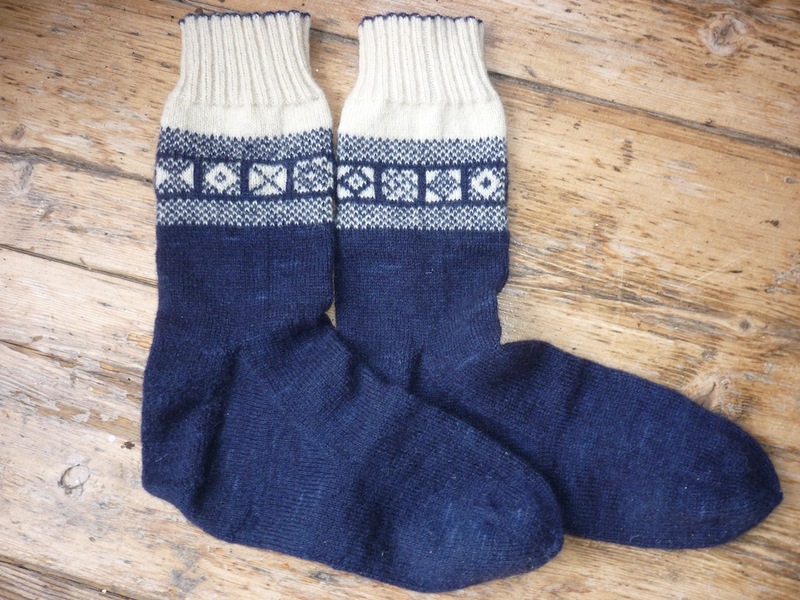 I’m working on a Sock-Knitting Workshop – details to be announced in a few weeks! 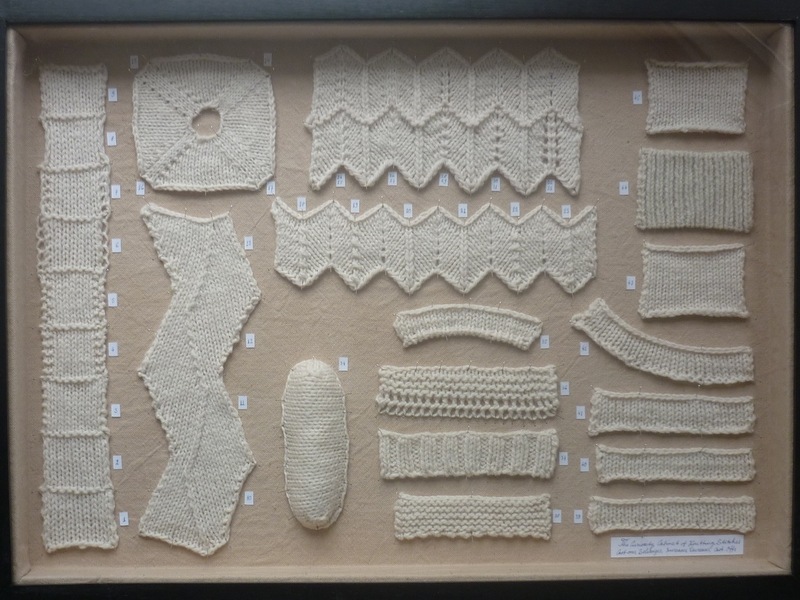 At long last, the Curiosity Cabinet of Knitting Stitches will see its first outing. 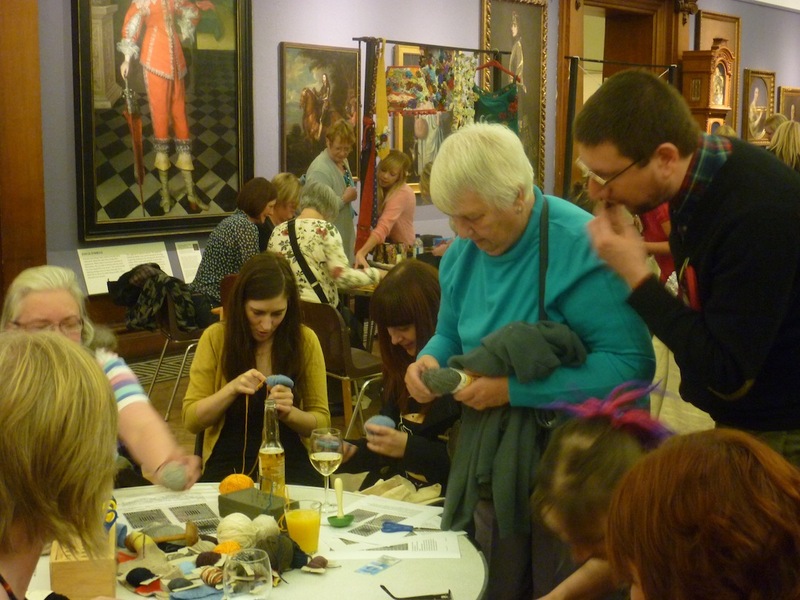 Head over to Prick Your Finger in February (Private View on 15 February, Tom’s Curious Stitches short workshops on 16 February). Once the Curiosity Cabinet of Knitting Stitches Show has finished, I will start working on Bursiforms: an exploration of seamless containers. Last but not least, in my quest of making my own things, I will start developing my sewing skills. 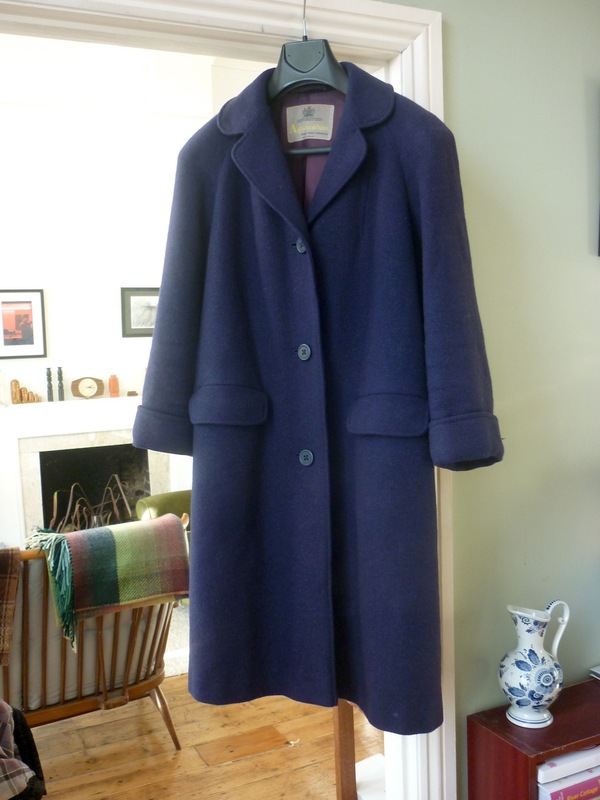 With knitting, I know now how to make garments that fit me, without using commercially available patterns and I want to be able to do the same for sewing. In 2013 I would like to learn how to draft my own trouser and shirt patterns. And to take the ‘making my own things’ a step further, I have started spinning. I’m taking this very slowly, using a drop spindle to get familiar with drafting fibre and everything that comes with it. Having done a little bit of fibre preparation, I’m amazed at how different wool is when you use it from scratch. It highlights how processed commercial knitting yarn is in order for the mechanical spinning process to work smoothly. Here’s to a new year; I’m curious to see how all this will develop over the course of the next twelve months. I hope you have plenty of ideas, too! Happy New Year, Tom. Your blog is inspiring! Hope we might see you in Shetland in 2013. Happy new year to you, too, Hazel. Pleased to hear you like my blog. Yes, I would really love to come to Shetland, probably for Shetland Wool Week, I shall keep you posted!